First supplier to develop a marine, liquid-hydrogen fuel-gas system. 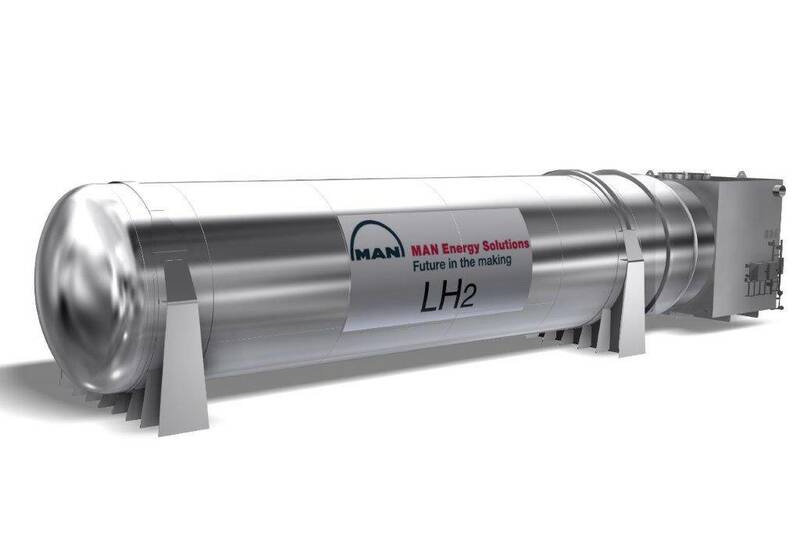 MAN Cryo, the wholly owned subsidiary of MAN Energy Solutions, has – in close cooperation with Fjord1 and Multi Maritime in Norway – developed a marine fuelgas system for liquefied hydrogen. MAN Cryo has long experience with cryogenic gases and solutions for storage and distribution. The company has also made numerous hydrogen installations over the years on land that, in combination with its extensive experience from marine fuelgas systems for LNG, have been invaluable when designing the new system. Once liquefied, hydrogen is reduced to 1/800th of its volume, compared to that of its gas phase, facilitating a more-efficient distribution. As a fuel, hydrogen does not release any CO2 and can play an important role in the transition to a clean, low carbon, energy system. Liquefied hydrogen can be used to charge batteries for electrical propulsion via fuel-cell technology. MAN Cryo states that it sees a bright future for hydrogen applications globally as part of its target of achieving zero fossil emissions within the marine sector by 2050. In particular, Norway is currently developing several promising hydrogen applications.